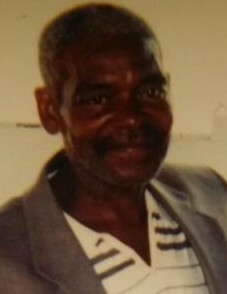 ALFRED LEE AVERY was born to the late Catherine and Leroy Avery on Tuesday, June 24, 1947 in Baltimore, MD. He was the 3rd born of eleven. He was educated in the Baltimore City Public School System. In 1975, Alfred married Victoria Avery whom preceded him in death. Alfred had been employed by various businesses including alongside his uncles Willis and Clarence, Johns Hopkins Hospital and the Baltimore Sun Paper. Alfred was such a loving person. He was known for his easy going smile and his manners. There wasn't a person who met him that didn't like him. He was loved by all. Having no children of his own made him have a special place in his heart for all of his nieces and nephews. Alfred was a jack pf all trades. He could fix or build anything. Many may not be aware of this; but Alfred was an artist that could turn a piece of wood into a work of Afro-centric art. He had a good voice and could hold a tune. Last but not least he could cut a rug. In fact, one of his proudest moments was when he was hand dancing with his sister-in-law at his nephews's wedding. Throughout Alfred's illness, his sister Darnette "Weenie" McMillon who preceded him provided his care. After which, he was cared for by his sister, Sarah McMillon until the end of his illness. Alfred leaves to cherish his loving memory: one sister, Sarah McMillon; one brother, Anthony McMillon; two sister-in-laws, Catherine Avery and Marva McMillon; one uncle, John "Buddy" Walker, a host of nieces, nephews, cousins and a special niece/best friend, Joann Blount and special cousin Luvenia McNeil.